RAWALPINDI: Bodies of three more Shaheed (martyrs) soldiers were recovered from Gayari sector of Siachen on Sunday bringing the total number of bodies recovered so far to 33. According to a spokesman of Inter Services Public Relations (ISPR) here, identity of the bodies was under process. 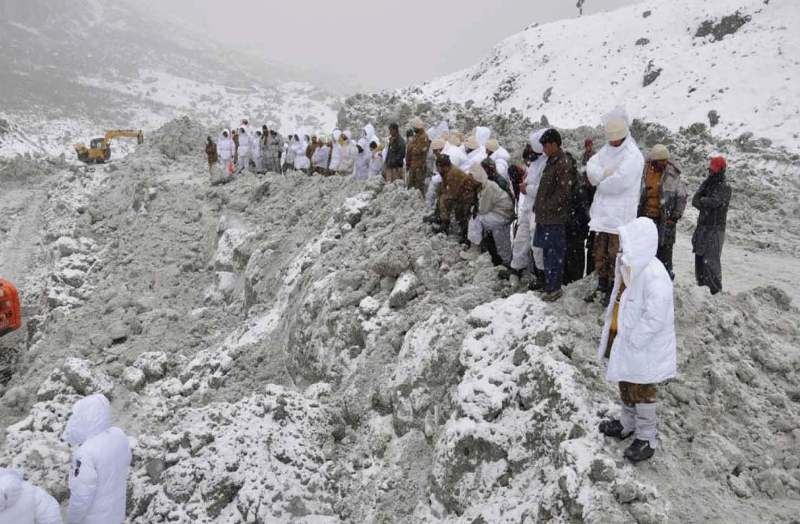 It may be mentioned here that 139 soldiers, including some civilians of 6 Northern Light Infantry Battalion came under a huge snow slide early Saturday morning (April 7) in Gayari sector near Skardu. Senator Mushahid Hussain Syed, Chairman of the Senate Standing Committee on Defence and Defence Production along with other senators, visited the families of Gayari Shuhada Lieutenant Colonel Tanvir Ul Hassan, Commanding Officer 6 Northern Light Infantry and Naik Ansar Mehmood at Chakwal on Friday. He laid wreath and offered fatheh at the Grave. Senator Mushahid Hussain Syed, Chairman of the Senate Standing Committee on Defence and Defence Production along with other senators offering fathah at the residence of Gayari Shaheed Lieutenant Colonel Tanvir Ul Hassan at Chakwal. 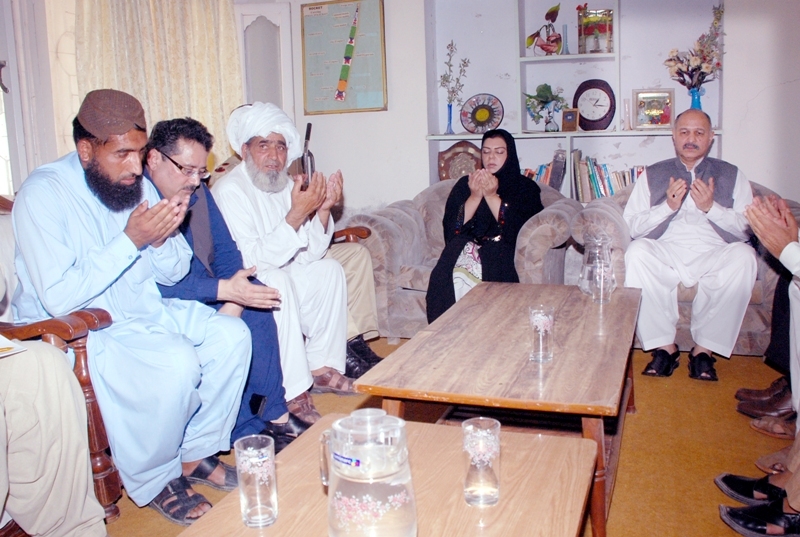 Senator Mushahid Hussain Syed paid rich tributes to all shuhada of Gayari and pledged his support. So far a total of 13 bodies of shaheed soldiers have been recovered. Meanwhile search and clearance operation at Gayari is making a smooth headway. 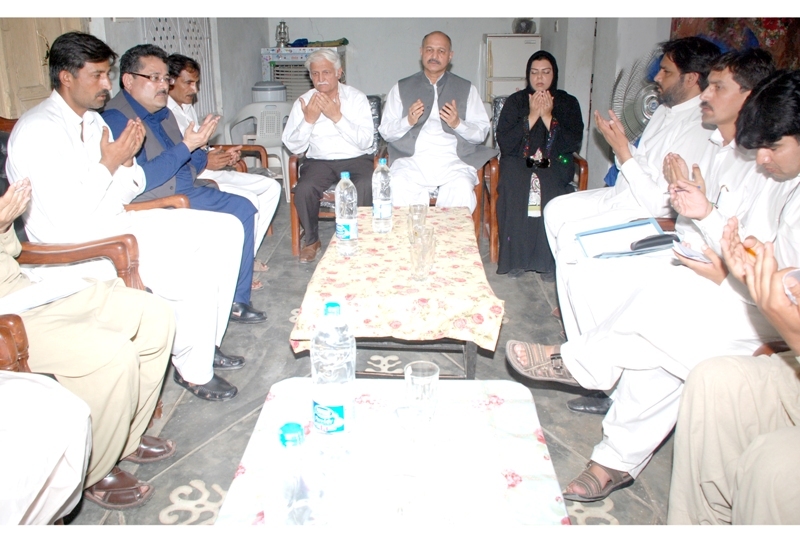 Senator Mushahid Hussain Syed, Chairman of the Senate Standing Committee on Defence and Defence Production along with other senators offering fathah at the residence of Gayari Shaheed Naik Ansar Mehmood at Chakwal. All possible resources including over 300 troops, 48 Engineers plants and five dewatering pumps are working round the clock at the site. Snow melting vehicle have also been employed for clearance operation. After colossal efforts of two months brave and courageous soldiers of Pakistan Army rescued dead the body Lt Col Tanveer ul Hassan, Commanding Officer of Six Northern Light Infantry Battalion. Earlier too, the dead bodies of six soldiers including Maj Zaka ul Haq have been recovered by the troops participating in the relief and rescued operation at Gayari sector of Siachen. The incident occurred at about an altitude of 16,000 feet that is located 180 miles northeast of Skardu, the capital of Baltistan. The rescue operation is underway, troops with sniffer dogs, aided by helicopters, are recklessly trying to find the soldiers in the deep snow after the avalanche engulfed the camp in the disputed Himalayan region of Kashmir. At present heavy machines which include Dumpers, Dozers, Excavators and Loaders are working at the search site.